The Jeep Wrangler JK was introduced in 2007 as the first design to come from the new Chrysler/Daimler relationship. Available in a 2-Door or 4-Door model, the JK held some heritage with the round lights and seven-slot grill, but was looked at by some as a 4x4 mini van. In fact, the engine was exactly that - out of the Chrysler minivan. Over time, though, the JK, thanks to the dedication of innovative companies providing great aftermarket parts, has become a favorite of off-roaders around the world. The best selling Wrangler model to date, each year Chrysler increases it's targeted production. 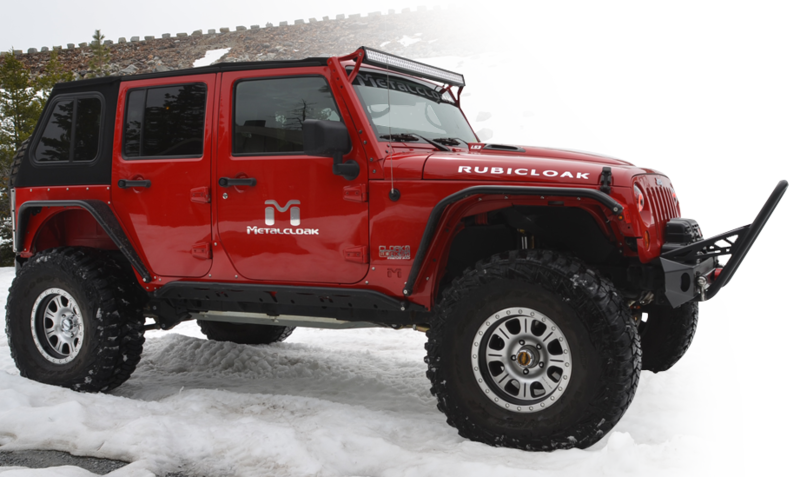 With the introduction of the MetalCloak Overline Fenders, which created the highest clearance fenders in the market and the Game-Changing suspension system, your JK Wrangler can now do any trail, any time, and still feel like a Cadillac on the drive home.